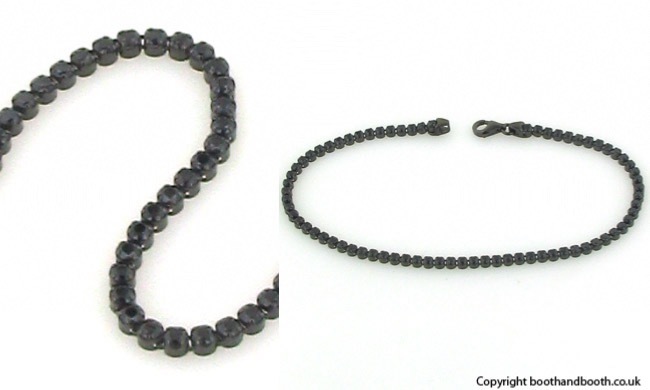 Black cz tennis bracelet in ruthenium plated sterling silver. 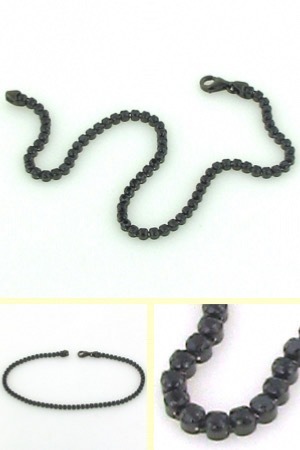 Admire this darkly sparkly bracelet as it drapes gracefully around your wrist. 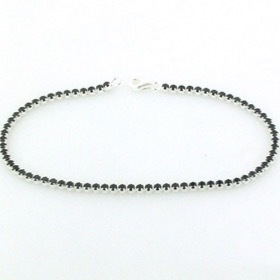 Set in sterling silver and featuring the new ruthenium plating which adds a sleek matt black surface, this tennis bracelet is the height of modern elegance. 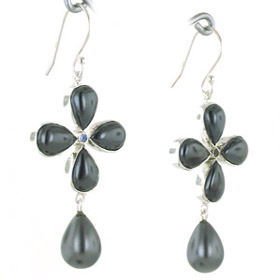 The black Cubic Zircons are faceted and glitter in the light - a marvellous contrast to the Ruthenium. 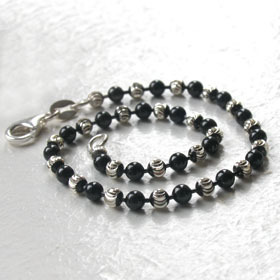 Wear alone as a single glittering strand or layer with other bracelets to create your own individual look. 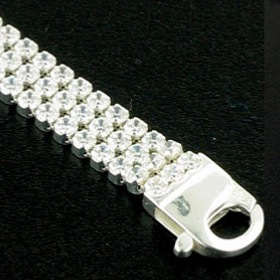 This silver bracelet is bought and worn by both women and men. 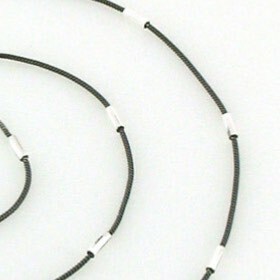 Also available in white, black and silver and triple strand versions (see below). 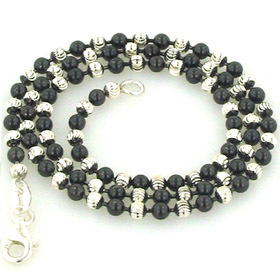 See our gemstone bracelets for more tennis styles.